K. Park, New Journal of Physics 11, 073027 (Jul. 2009). V. W. Scarola, K. Park, and S. Das Sarma, New Journal of Physics 7, 177 (2005). J. K. Jain, K. Park, M. R. Peterson, and V. W. Scarola, Solid State Comm. 135, 602 (2005). K. Park, Phys. Rev. B 69, 201301(R) (2004). K. Park, Phys. Rev. B 69, 045319 (2004). V. Scarola, K. Park, S. Das Sarma, Phys. Rev. Lett. 91, 167903 (2003). K.Park, V. Scarola, S. Das Sarma, Phys. Rev. Lett. 91, 026804 (2003). K. Park, Phys. Rev. B 67, 094513 (2003). K. Park and S. Sachdev, Phys. Rev. B 65, 220405(R) (2002). S. Sachdev and K. Park, Annals of Physics 298, 58 (2002). 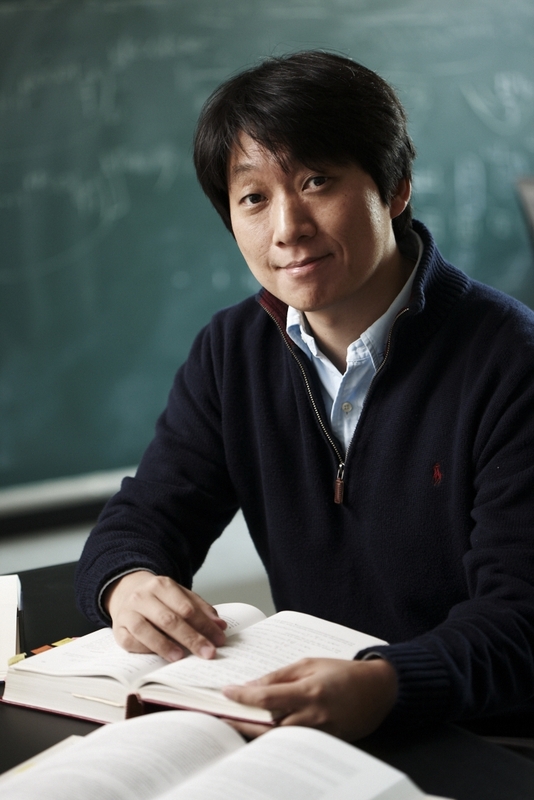 K. Park, Solid State Comm. 121(1), 19 (2002). K. Park and S. Sachdev, Phys. Rev. B 64, 184510 (2001). K. Park and J. K. Jain, Solid State Comm. 119, 291 (2001). J. K. Jain, R. K. Kamilla, K. Park, and V. W. Scarola, Solid State Comm. 117(3), 117 (2001). K. Park and J. K. Jain, Phys. Rev. B 62, R13274 (2000). V. W. Scarola, K. Park, and J. K. Jain, Phys. Rev. B 62, R16259 (2000). T. Sbeouelji, K. Park, J. K. Jain, and N. Meskini, Phys. Rev. B 62, R4802 (2000). V. W. Scarola, K. Park, and J. K. Jain, Nature 406, 863 (2000). K. Park and J. K. Jain, Phys. Rev. Lett. 84, 5576 (2000). K. Park and J. K. Jain, Journal of Physics: Condensed Matter 12, 3787 (2000). V. W. Scarola, K. Park, and J. K. Jain, Phys. Rev. B 61, 13064 (2000). K. Park, and J. K. Jain, Solid State Comm. 115(7), 353 (2000). X. Zu, K. Park, and J. K. Jain, Phys. Rev. B 61, R7850 (2000). K. Park, and J. K. Jain, Phys. Rev. Lett. 83, 5543 (1999). K. Park, N. Meskini, and J. K. Jain, Journal of Physics: Condensed Matter 11, 7283 (1999). G. Murthy, K. Park, R. Shankar, and J. K. Jain, Phys. Rev. B 58, 15363 (1998). K. Park and J. K. Jain, Phys. Rev. Lett. 81, 4200 (1998). K. Park, V. Melik-Alaverdian, N. E. Bonesteel, and J. K. Jain, Phys. Rev. B 58, R10167 (1998). K. Park and J. K. Jain, Phys. Rev. Lett. 80, 4237 (1998). Indian Association for the Cultivation of Science (IACS)-APCTP-KIAS Joint Workshop "Emergent phenomena in novel oxide and low dimensional systems"
KIAS Workshop "Frontiers in Condensed Matter Physics"
Soroff Prize for the recognition of "outstanding contributions in physics"